As a modern health care facility, the Baltimore VA Medical Center offers Veterans state-of-the-art technology and clinical services. The medical center is home to the world’s first filmless radiology department, which allows health care providers to have nearly instant access to patient radiology images. 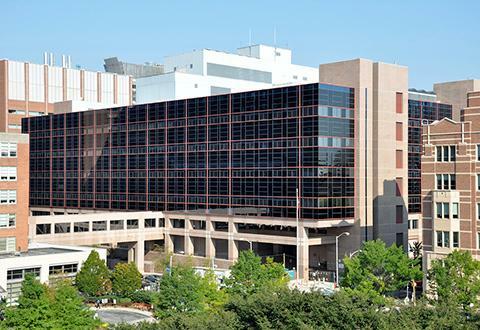 The Baltimore VA Medical Center is the acute medical and surgical care facility for the VA Maryland Health Care System and offers a full range of inpatient, outpatient and primary care services. As a surgical specialty care facility, the medical center serves as the neurosurgery referral center for the VA Capitol Health Care Network. The medical center’s "patient friendly" design features plant-filled atriums, natural light from overhead skylights and comfortable patient rooms and waiting areas. Located next to the University of Maryland Medical Center with a walkway connecting the two facilities, the medical center maintains an active affiliation with the University in the sharing of staff, resources and technology. The Baltimore VA Medical Center is located in a vibrant city neighborhood on the campus of the University of Maryland at Baltimore and is within walking distance of Oriole Park at Camden Yards, M&T Bank Stadium (home of the Baltimore Ravens), Lexington Market and the Inner Harbor. There is free valet parking for patients in the medical center’s garage, and Light Rail, Metro and bus services are located nearby. For patient convenience, a shuttle runs weekdays to and from the Perry Point; Martinsburg, West Virginia; and Washington, DC, VA Medical Centers and the Fort Howard, Glen Burnie and Loch Raven VA Outpatient Clinics.